There are some images that affect our very soul, and so we search for contemporary equivalents in our subconscious. Above is “Pulaski County, Arkansas (1935)” taken by the great Farm Security Administration photographer Ben Shahn. 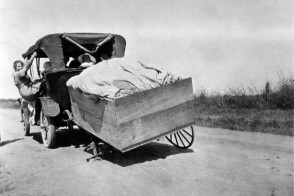 This photo is in the Library of Congress. Shahn had an exceptional photographer’s eye especially when it came to documenting people. 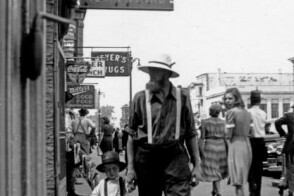 Below, we present “Migrant Field Workers”; Illinois c.1939. The photographer is unknown. 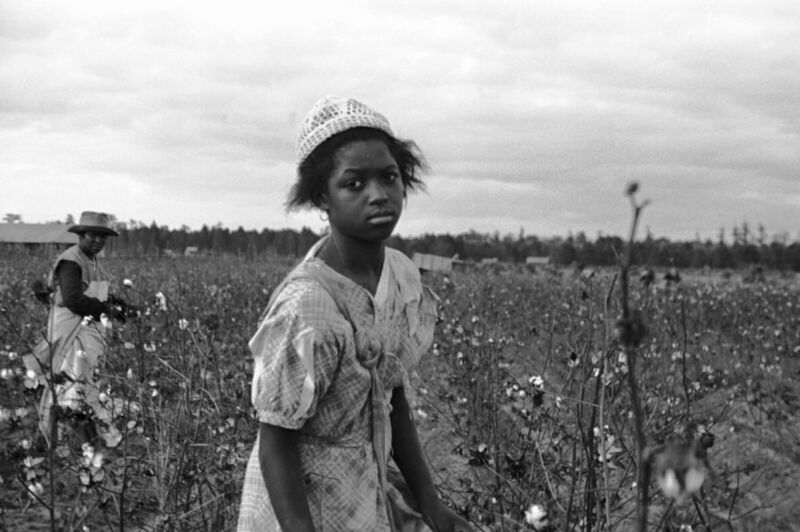 This scene immediately evoked memory of Shahn’s Pulaski County taken in an Arkansas cotton field. Perhaps scenes of migrant workers in a tomato patch are a bit less intense. See more images in our 1930s collection. 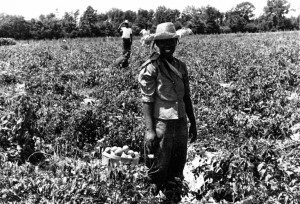 Illinois c.1939 Field workers in the tomato patch. Date is approximate; true date unknown. (f/16, 1/100).